Topics covered during a Lower School Assembly on January 12 were tied to the observance of Dr. Martin Luther King, Jr. Day. 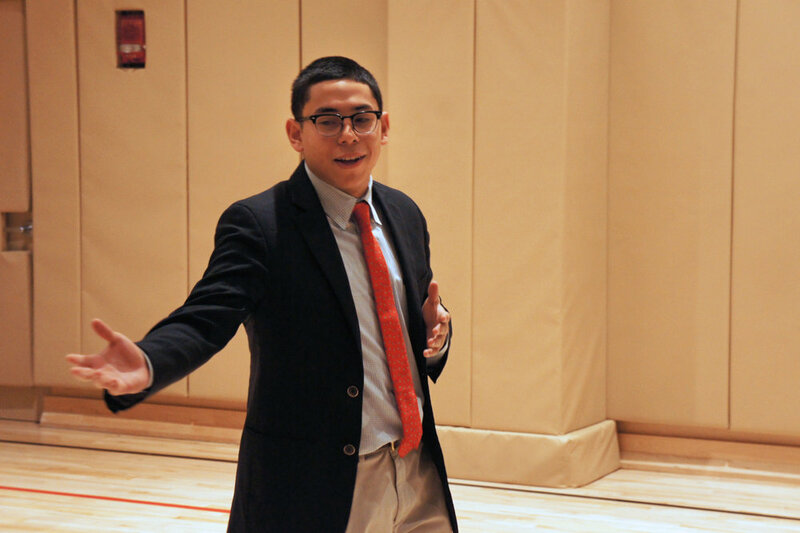 During this assembly led by Glenn Walker, advisor to the Multicultural Club, Lower School boys learned about the first-hand experiences of Upper School boys regarding inequality and the universally uncomfortable feeling of being “left out.” The boys left with much to ponder and consider in terms of being sensitive to the feelings of others, regardless of their appearance or beliefs. The program began with a request by faculty member Anderson Harp that the boys participate in GLSEN’s No Name-Calling Week, January 16-26, beginning on MLK Day and ending on the day of the Presidential Inauguration. According to GLSEN’s website, this week is meant to challenge bullying as well as celebrate kindness by putting it into action and extending acceptance to LGBTQ students – particularly transgender and gender nonconforming (GNC) students – along with LGBTQ students of color. Lucy Warner, Lower School Music teacher, next told the story of Rosa Parks, an African American who courageously refused to give up her seat to a white man on a Montgomery, Ala., city bus in 1955, thereby violating bus segregation laws and helping to initiate the civil rights movement in the United States. Ms. Warner and the audience of Lower School boys then sang “Alabama Gal,” an American folk song they had learned in her class. Finally, the latest edition of “The Panther Report,” a broadcast of current events and information on a variety of subjects produced by the fourth grade, concluded this thought-provoking assembly. Head of Lower School/Assistant Head of School Laurie Gruhn applauded all the presenters who spoke from the heart and reinforced the ideals and principles of Dr. King.